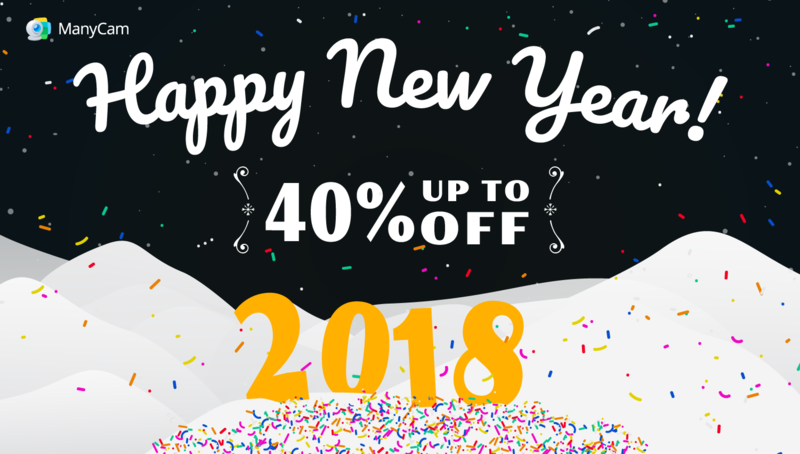 To start 2018 on the right foot, you can now get ManyCam 6 with up to 40% OFF. If you haven’t upgraded your ManyCam yet and you want to start creating professional-looking live streams, now is the time to do it. On ManyCam 6, each feature has been improved upon and now, performs at its best. Which means they require less resources from your system, and everything works faster. With the productivity of our users in mind, ManyCam has now a modular layout and room for customization. You can pick all your most used tools and place them on the favorites bar to have easy access. Moreover, you can drag widgets up and down within each main feature. Simply click and drag to the top the ones you use the most. Or arrange them in any way you’d like. Since we know our community of ManyCam-ers love new effects, we’ve added new 3d Face Masks, effects, distortions and filters. Also, you can always create your own effects , to start 2018 with personalized images on your live streams. The new version of ManyCam is available for Windows and Mac, learn more about it here. Now live streaming to Facebook and YouTube is better and more efficient. You can give your live video a Title and write a description that will appear on the platforms. On Facebook, you can choose whether you want to live stream to a personal or a business page, groups or events. Also, you get to select right on ManyCam, if it’s going to be a public broadcast, just for your friends or private. Here is everything you need to know about this update. Start 2018 creating amazing live streaming videos with ManyCam. Right now, you can get it up to 40% OFF. Time’s running out, the year is almost over! We hope 2017 has been a great year for you and wish that 2018 is even better, Happy New Year!